Prior to joining Alior Bank Management Team Mr. Chyczewski led group transactional consulting for financial institution in EY. 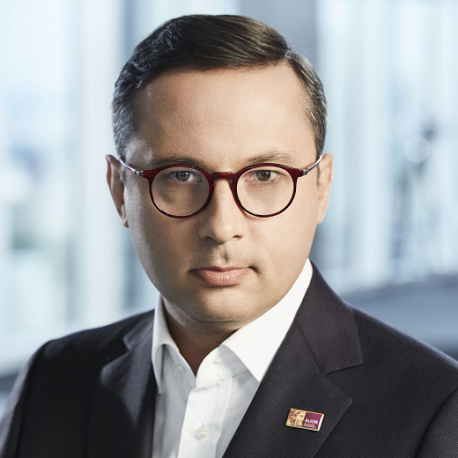 In the past he was employed in Bank Gospodarstwa Krajowego (Managing Director), PKO BP S.A. (first Vice President of Kredobank in Ukraine), Bank BPH (senior economist) and MCI investment group (vice president of Private Equity Managers S.A., Management Board Member of MCI Capital TFI S.A., Board Member of Invia AS w Czech Republic). He started his professional career in 2002 in consulting (Andersen Warsaw office). In years 2007-2009 he was a deputy minister in Treasury Ministry responsible for financial institutions sector. He was also nominated in 2015 as a Permanent Representative of Poland in World Trade Organization in Geneva.